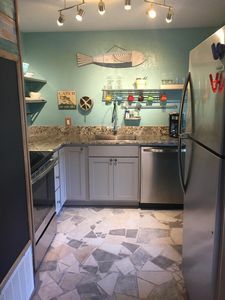 Sand Point Joint is located in the best neighborhood with ocean views plus the pool, hot tub, beach boardwalk are steps away. This neighborhood is in town so you can enjoy driving around in a golf cart. So why keep looking? 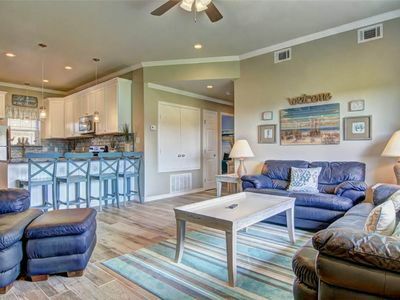 You've definitely found the best place to be in Port A! This home is steps from the beach and the pool. 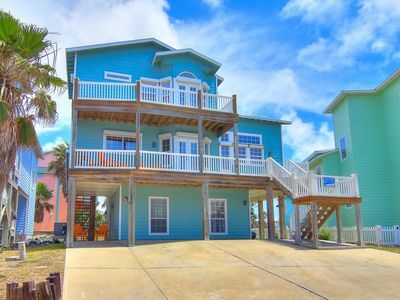 Enjoy the view of the ocean from the decks while feeling the ocean breeze. 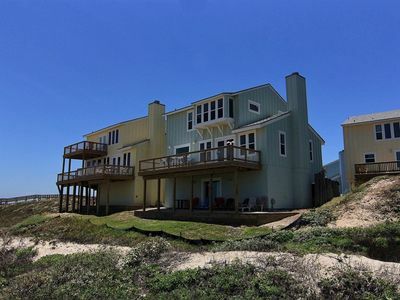 Sand Point Joint is a 3 story house with 4 bedrooms and 3 baths plus ocean views. 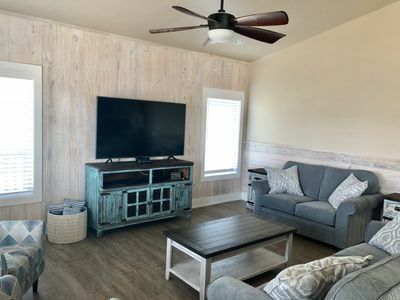 The top two levels include 3 bedrooms and 2 bathrooms at approx.1700 square feet and sleeps 8 with a king bedroom, queen bedroom and a bunk room with four twin beds. 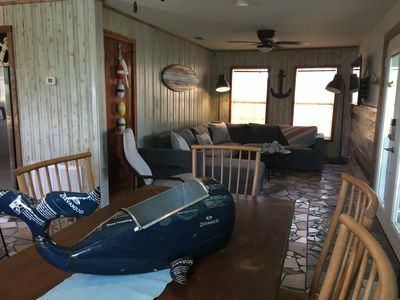 There are 2 decks with great ocean views. 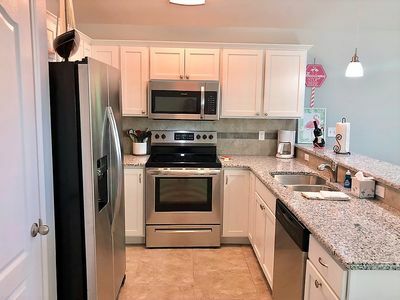 The ground floor is a 1 bedroom, 1 bath apartment at approx. 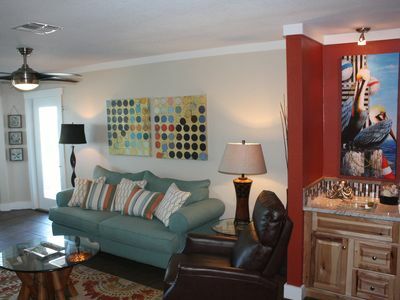 700 square feet and sleeps 4 with a living room, kitchen, queen bedroom and queen size futon. In the off-season or winter, the home and the apartment can be rented separately or together. 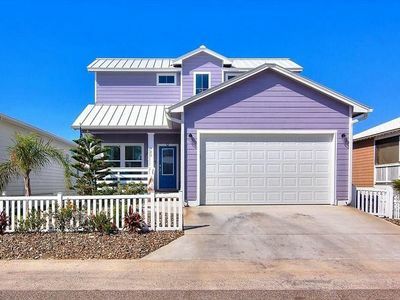 Enjoy the ocean view and hear the relaxing sounds of the waves from this beautiful home just steps from the beach in Sand Point. 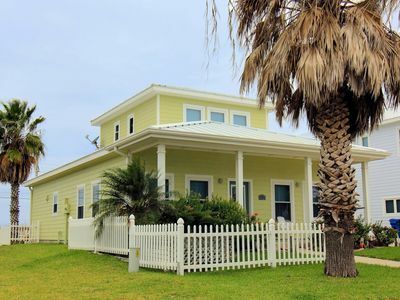 This beach community is the coolest, located IN THE HEART OF PORT ARANSAS, (not way down Hwy 361), so it's less than five minutes away from Port A's local restaurants/shops, and next door to the 'Beach Lodge', the only beach front restaurant and bar on the island. Plus when you book with us, you'll get our exclusive locals only discount at these fine island businesses. Irie's Island Food, Coastal Ed's golf cart rentals, Venetian Hot Plate, Billy Joe's Craft House , Virginia's, Trout Street, Mustang Dolphin Watch and Kody's. We are also THE PRIME LOCATION for SandFest which is an international sand sculpting competition held each year in late March/April. 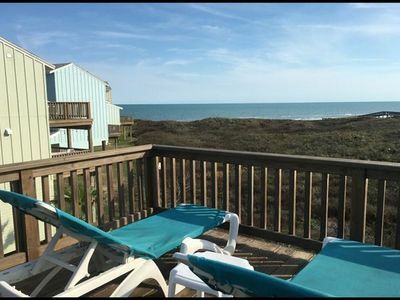 It takes place right next to the Sand Point neighborhood's private boardwalk over the dunes so you can even see the event from the home. 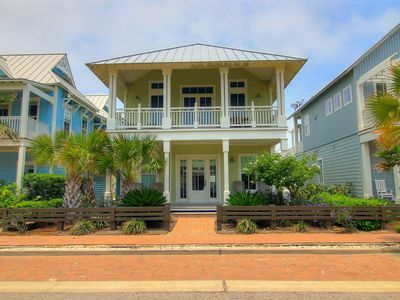 Make Sand Point Joint your vacation home away from home. New custom home features a gourmet kitchen and breakfast bar. 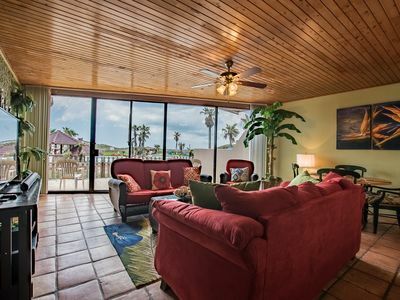 Master suite with king bed and private deck has an awesome gulf and beach view along with a wonderful Jacuzzi tub. Second bedroom has queen bed. Third bedroom now has four twin bunks. 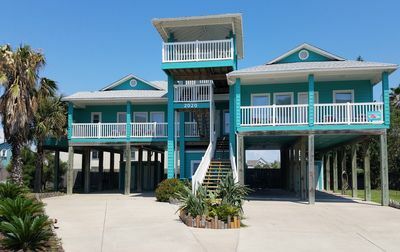 The second floor has a large great room, dining room and kitchen with panoramic gulf views. There are seven new flat screen TV's and wireless internet. 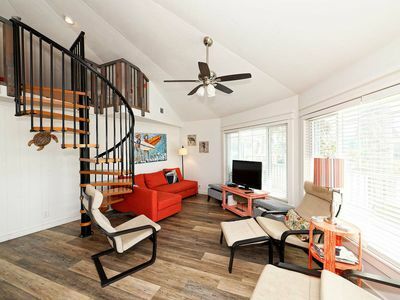 This beautiful home, combined with professional management and extreme close proximity to the beach spells an outstanding and worry free beach trip for you and your family. Due to some law changes with VRBO/HomeAway, they now collect the 6% state tax and our nightly rate and cleaning fee includes the 7% city tax. 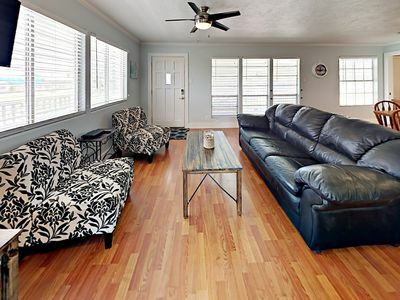 With amazing lake views, you'll want to hideaway forever! 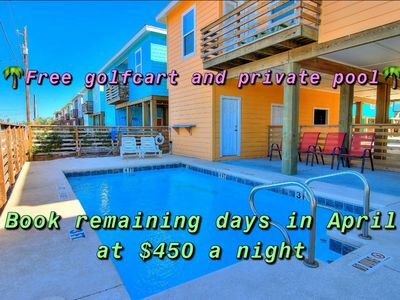 Sol to Soul 1LC is located at Lost Colony Resort in Port Aransas! 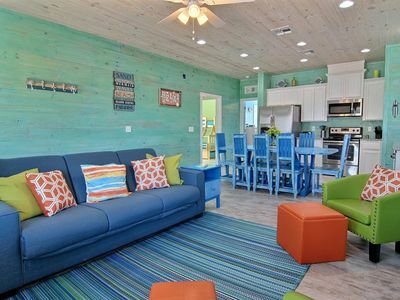 The Fish Cabin is perfect for a relaxing beach vacation! 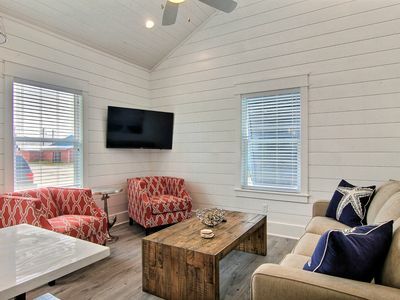 The Anchor cabin is the perfect place to spend your vacation at the beach! 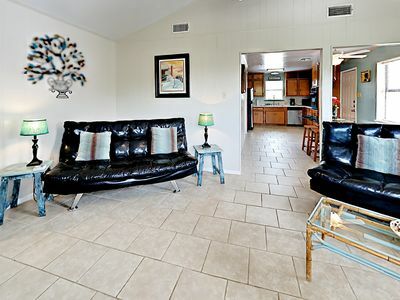 Super Quaint 3 bedroom 3 bath home in gated Beachwalk 1. Community pool! New to Rental! 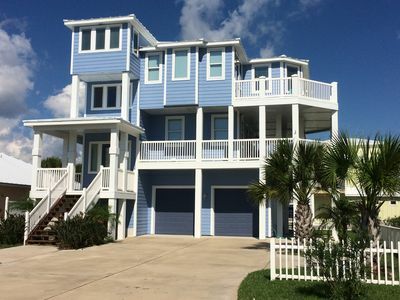 Beautiful Coastal Home Close to Everything! In Golf Cart Zone!